Work calls - 2019European Mixed Championships begins. I have also written the hands from one match each day of the Round Robin. We won the 2018 National Pairs!! 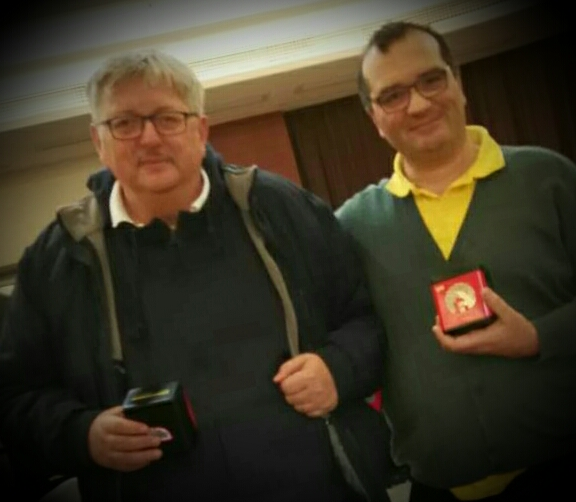 Delighted with our success this weekend in Salsomaggiore at the 2018 National Pairs, I take this moment to say a great big well done mate to my long suffering partner Enrico Castellani, a big thank you to all our opponents and acknowledge the fine efforts of the hard working organisers and TDs. After a slow start, we managed a semi-final spot, working really hard yesterday to reach the final sixteen boards starting in fifth spot. I will post a blog when I get back from cloud nine to tell you a little about some of the hands we will remember fondly for a long time. In the meantime you can have a look on the Italian Federation website at all the hands. 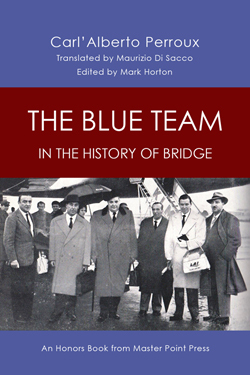 With the permission and support of one of the greatest players to ever hold cards- my dear Blue Team hero Pietro Forquet - I am now starting to translate his bridge articles into English. He published every month for nearly 20 years - and taught me much to improve my game. Follow the articles - Article 1 is available here, or buy the book when it is ready and let it improve your game too. The book is progressing - I have translated 60 wonderful instructional and amusing hands which are now being edited for publication. The book I have been working to translate for English speaking bridge players is now published and ready to buy. Visit the website (or my books page) to order your copy now. Each day I brought news, my views and some of the hands played during the 54th European Championships 6-16th June.